The green growth from one of the varieties of jute plants producing edible leaves that are used as a vegetable or food ingredient. Some jute plants produce very bitter leaves and are not considered edible. 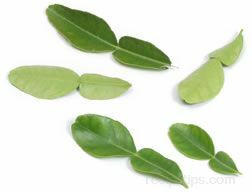 Common to Asian and African cooking, jute leaves are used to flavor soups, stews, teas, and vegetable dishes. 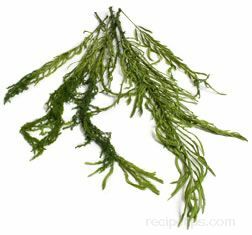 They are consumed for their flavor, their nutritional value as a source of beta-carotene, and in some regions for their use as an herbal remedy for various health concerns. The leaves are harvested from specific varieties of this plant for food while the stalks are used for industrial products such as rope, pulp, paper, fiber, and composites.